Gentle, contemplative paintings which convey feelings of balance, peace and harmony. 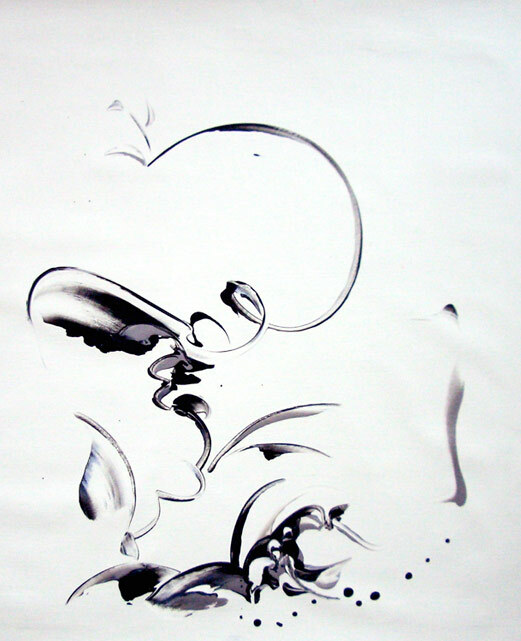 The second influence in Delphine Bernard's art, expressed through a technique and philosophy close in spirit to oriental calligraphy, sees the raw energies of the world mastered and sublimed into peaceful visions of balance and harmony. The sharp painting knives give birth to delicate details in round fantasies expressing the other fundamental need of humanity - the Quest for Love. Visit my online gallery del-fine!